Today morning which I was writing an article on Selection Sort algorithm in Java, I wanted to show time complexity for that program. Usually complexity would be O(n2). I tried searching for some time and couldn’t found simplest way add those option in Visual Editor. 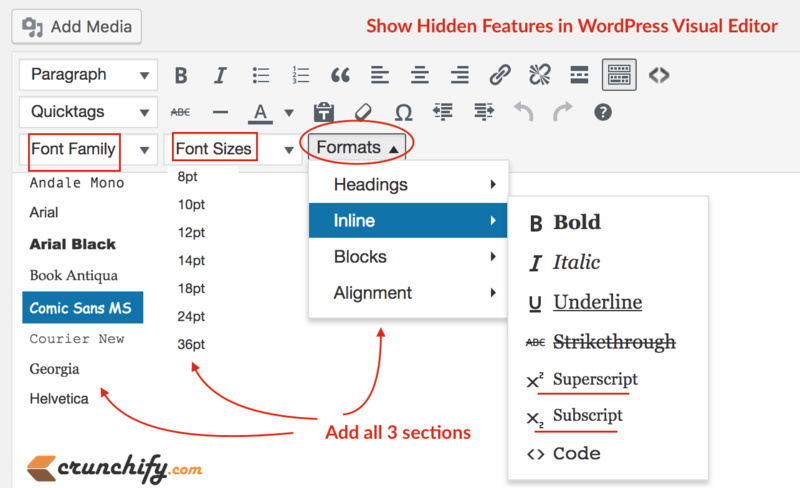 But it seems, with very simple extra line of codes, you could have all above options in WordPress Visual Editor. We are using Genesis WordPress Framework. So i’m going to add code to my Child theme’s functions.php file. If you are using normal WordPress theme then simply put it into your theme’s function.php file. As you see above we are using mce_buttons_3 which will add new features into 3rd row/line. After having all options for a while, it turned out that for me, I just needed Formats Options as I hardly change font size and font family for my post. Does this still work in WordPress 5?